With client trust and satisfaction at the heart of our approach to the homebuilding process, Hartley Homebuilding is passionate about building homes of enduring quality and craftsmanship. We work closely with insurance adjusters and companies on fire and water restoration. projects. Our dedication to quality dictates that we use only the best materials at competitive prices, as well as the most highly skilled and trusted subcontractors in the business. We are committed to your project, from the initial consultation to well beyond our final delivery. Luxury Custom Home Builder with lots from 1 to 100 acres. Fredericksburg Custom Homes Ltd. (VA license # 2705 027687A) is owned and managed by Christopher M. Kohlhaas. Chris grew up in the Washington D.C. area and graduated from LSU with a degree in construction management in 1986. From the very first design-build project that won Fredericksburg Area's "Best in Show" to working with world renown architects, Chris has been commited to building with innovation and durabilty while using timeless designs and materials. 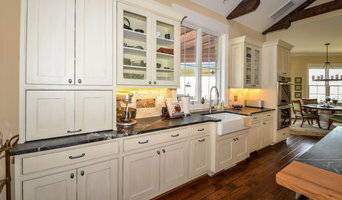 Fredericksburg Custom Homes builds custom homes in Fredericksburg, Spotsylvania, Lake Anna, King George, Loudoun, Haymarket and Prince William County. At Kingston Royce Homes, we take over 30 years of industry expertise and fuse it with a passion for excellence in custom home design and construction. The results are phenomenal: beautiful homes that not only provide shelter, but a lasting investment—a legacy—for the benefit and happiness of your family. For Leesburg residential home builders who also act as developers, the job starts well before the first nail is driven. They perform local market research to determine whether the prospective homesites make sense in the Leesburg, VA market, as well as survey the land on which the house will be built to make sure it is suitable for construction. Custom builders also obtain the necessary permits. 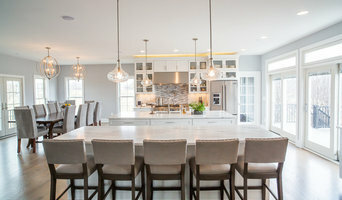 A good custom home builder in Leesburg, VA has skills that go far beyond construction — he or she must supervise subcontractors and artisans; keep tabs on local zoning regulations, building codes and other legalities; inspect work for problems along the way; and perform dozens of other roles that are essential in building a quality house. Here are some related professionals and vendors to complement the work of home builders: Interior Designers & Decorators, Landscape Architects & Landscape Designers, Architects & Building Designers, Kitchen & Bath Designers, Specialty Contractors. House builders are responsible for ensuring that the home-building project sticks as closely as possible to the specified timetable, particularly in the event of change orders. Custom and luxury home builders in Leesburg, VA also need interpersonal skills to deal with clients of all types, soothe frazzled nerves, negotiate conflicts and resolve problems. Find custom home builders in Leesburg, VA on Houzz. 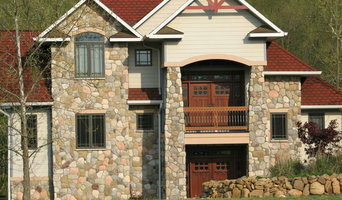 Narrow your search in the Professionals section of the website to Leesburg, VA home builders. You can also look through Leesburg, VA photos to find a house you like, then contact the builder who worked on it.